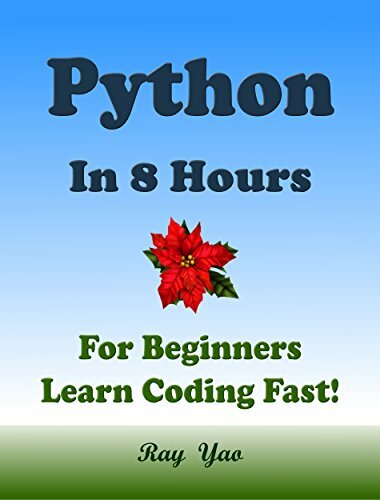 “Python in 8 Hours” covers all essential Python knowledge. You can learn complete primary skills of Python fast and easily. The book includes more than 80 practical examples for beginners and includes tests & answers for the college exam, the engineer certification exam, and the job interview exam. 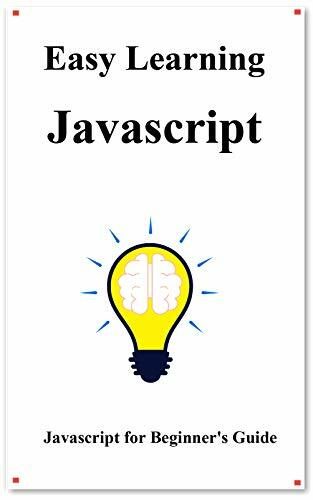 This book provides source code for download; you can download the source code for better study, or copy the source code to your favorite editor to test the programs. .
You are interested in becoming a machine learning expert but don't know where to start from? Don't worry you don't need a big boring and expensive Textbook. This book is the best guide for you. The author has explored everything about machine learning and deep learning right from the basics. A simple language has been used. Many examples have been given, both theoretically and programmatically. Screenshots showing program outputs have been added. The book is written chronologically, in a step-by-step manner. To help you understand the basics of machine learning and deep learning. Understand the various categories of machine learning algorithms. To help you understand how different machine learning algorithms work. You will learn how to implement various machine learning algorithms programmatically in Python. To help you learn how to use Scikit-Learn and TensorFlow Libraries in Python. To help you know how to analyze data programmatically to extract patterns, trends, and relationships between variables. Anybody who is a complete beginner to machine learning in Python. Anybody who needs to advance their programming skills in Python for machine learning programming and deep learning. Professors, lecturers or tutors who are looking to find better ways to explain machine learning to their students in the simplest and easiest way. Students and academicians, especially those focusing on neural networks, machine learning, and deep learning. The Author guides you on how to install the rest of the Python libraries that are required for machine learning and deep learning. This book will teach you machine learning classifiers using scikit-learn and tenserflow . The book provides a great overview of functions you can use to build a support vector machine, decision tree, perceptron, and k-nearest neighbors. 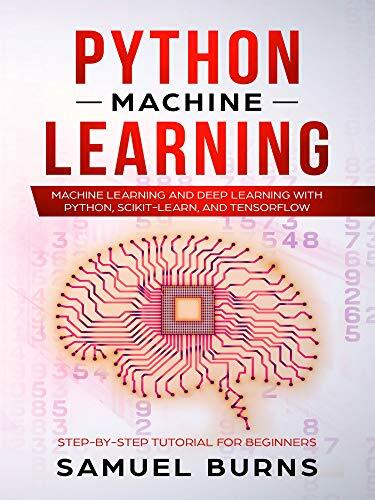 Thanks of this book you will be able to set up a learning pipeline that handles input and output data, pre-processes it, selects meaningful features, and applies a classifier on it. This book offers a lot of insight into machine learning for both beginners, as well as for professionals, who already use some machine learning techniques. Concepts and the background of these concepts are explained clearly in this tutorial. The complexity of life, because they do not understand to simplify the complex, to simplify the complexity, simple is the beginning of wisdom. I started making these lists for my own use in 2013 when an Amazon policy change gutted all of the web sites that listed free Kindle books. Before the policy change, those sites would get some amount of compensation for directing people to the Amazon web site. After the policy change, they lost all compensation for the month if most of their referrals that month were for free books. So most of those web sites stopped listing the free books. I use the description "newly free" for these book lists. That means I won't list a book again if I've listed it recently. There are so many books that are permanently free, or frequently free, that it makes it difficult to find "newly free" books manually looking through the Amazon search results. There are just too many repeats every day. But I have included the links to those Amazon searches on the category headers, so you can always click the link to see the full list if you'd like. My process just extracts the "newly free" books from those search results, by keeping a record of books I've listed in the past. The lists are designed for easy navigation through the books. Clicking on the blurb of any given book will bring the next book in the list up to the top of the screen. This makes it easy to quickly go through them one-by-one. Each category header has an index of the various categories available, and also shows the number of books available in each category. Clicking on the category header itself will bring up the full Amazon search listing of free books for that category. If you're in Canada, Germany, or the UK, clicking on the "CA" or "DE" or "UK" link in the top right hand corner of the document will change all of the book links from USA to Canada or Germany or the UK. But they may not be free there as they are in the USA. Usually, but not always. If an author classifies their book as belonging to multiple genres (e.g. fantasy, horror), it will only be listed in the first genre that I process. I process the sub-categories of a major category first, so that the book will be listed in the more specific category. The rating and # of reviews will be highlighted green to flag ratings above 4.5 stars with more than 50 reviews. Horizontal bars above the blurbs may be red. You can ignore that. They're just reminders to me that I have already purchased that book. Currently, there are about 90,000 free Kindle books, a thousand "Prime Reading" books, and over 1.6 million "Prime Eligible" books. With only a few exceptions, "Kindle Unlimited" means "Prime Eligible". "Prime Reading" offers unlimited loans per month, while "Prime Eligible" is just one loan per month. From the initial search results, you can drill down into categories and use any of the left navigation bar filters. Click on the "search" part of the "results for" line and you can change the search term to whatever you desire. Then you can continue as before and use the normal drill-down and/or filter choices. The eReaderIQ web site is a price tracking service for Kindle books. It allows you to set up watch lists for books and authors, and then they will send you an email alert when a book reaches a certain price, or an author has a book with a price reduction. The BookBub web site will send you email alerts with handpicked recommendations on books, for your selected genres. Some are free, others just have price reductions. ​They can be downloaded as mobi files for the Kindle as well as being read online.​ Used to be one of my favorite SF magazines. I almost always had one with me when I was in high school. If you're more interested in mainstream books, check to see what options you have from your local library. Many use the Overdrive or Libby sites to loan out Kindle books. If that's not available to you, or your local library has a limited collection, the "Free Library of Philadelphia" has an extensive Overdrive collection, and an out-of-state library card is only $50 per year. Less than half the price of KU. Project Gutenberg, founded in 1971, is an Internet archive of free public domain books, created via a volunteer effort that digitizes and archives such books. You can download the Kindle format of a book and then transfer the book to your Kindle directly using a USB cable or by emailing it to your Kindle via its Send-to-Kindle email address using your email client or something like the Amazon Send-To-Kindle tool or an eBook management tool like Calibre. Notifications of new listings will be made in various GoodReads discussion groups (e.g. Amazon Kindle), as well as on the Reddit FreeEBOOKS group. There is also an RSS Feed.